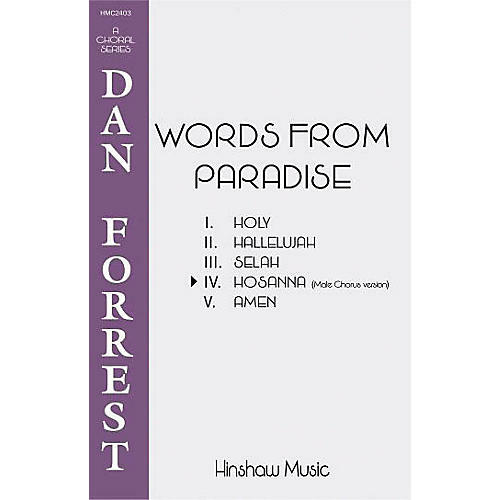 Originally scored for mixed voices as a part of the set Words from Paradise, this revoicing for unaccompanied male chorus is lively and has use both in the church and with some acacdemic ensembles. Use it on Palm Sunday or as a concert opener. Lots of fun! Difficulty Level: Advanced Adult.